Once you’ve broken all the rules and launched your career by writing an instant classic management book, what do you do for an encore? If you’re Marcus Buckingham, you dedicate yourself to understanding what makes world-class managers tick, bottling it, and sharing it with the world. Marcus first conquered the bestseller lists in 1999 with First, Break All the Rules. While the title may imply an iconoclastic streak, his continuing plea for managers to break with tradition has nothing to do with rebellion; instead, he argues, rules must be broken and discarded because they stifle the originality and uniqueness — the strengths — that can enable all of us to achieve our highest performance. Following up on his highly successful debut book, Marcus continued to spread the message that people’s unique personal strengths are the key to unlocking their potential. As co-author of ”Now, Discover Your Strengths,” he helped create StrengthsFinder, the personal assessment tool that gave millions of individuals a new vocabulary to positively describe their ingrained talents. The book also added the phrase “Top 5″ to the lexicon of managers and business people around the world. (Marcus’s Top 5, for the record: Futuristic, Context, Focus, Ideation, Intellection). In addition to refining and reinforcing his message in subsequent books (“The One Thing You Need to Know;” “Go Put Your Strengths to Work;” “The Truth About You;” “Find Your Strongest Life”), Marcus addresses hundreds of thousands of people each year in keynote addresses worldwide. He founded The Marcus Buckingham Company in 2007 to create tools and training that would help managers and organizations access the untapped potential of their people’s strengths. His latest book, ”StandOut,” has launched not just a new strengths assessment but an entire productivity platform based on a new research methodology to reveal your top two “strength Roles” — your areas of comparative advantage. “StandOut” goes beyond description to give people practical innovations that fit their strengths, and provide managers and leaders with quick insights on how to get the best from each member of their team. Marcus has worked with the world’s most prestigious companies, including Facebook, Toyota, Coca-Cola, Wells Fargo, Microsoft and Disney, to name just a few. His compelling message has also drawn attention from numerous media outlets. He has appeared on “The Oprah Winfrey Show,” “Larry King Live,” “The Today Show,” “Good Morning America” and “The View,” and has been profiled in The New York Times, The Wall Street Journal, USA Today, Fortune, Fast Company and Harvard Business Review. Ultimately, Marcus’s strengths message is powerful because it is based on rigorous data collection and analysis. He spent nearly two decades as a Senior Researcher at the Gallup organization studying the world’s best managers and companies to discover what drives exceptional performance. A devoted statistician and researcher, he has continued to explore the data behind great performance throughout his career. 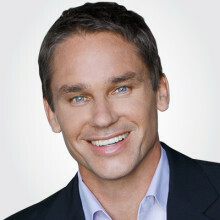 His research forms the basis of every tool or training program that The Marcus Buckingham Company offers. Do you want to hire Marcus Buckingham? Directly request a quote. In 48 hours we can send you the availability of Marcus Buckingham If you would like to book Marcus Buckingham, Entertainment Booking Agency is the right place. We will offer you the best price and contact the management or we directly contact Marcus Buckingham. For corporate appearances or speaking engagements you can contact our agents and the will help you true the process. Tags: hire Marcus Buckingham, Marcus Buckingham booking, book Marcus Buckingham, Marcus Buckingham appearances, find more information on booking Marcus Buckingham for appearances, Marcus Buckingham speaking engagements, Marcus Buckingham endorsements/spokesperson, Marcus Buckingham appearance fees, Marcus Buckingham booking agency contact info, biography of Marcus Buckingham, Contact an artist booking talent agent find a speakers bureau that can book Marcus Buckingham, speaker booking agency for Marcus Buckingham, Marcus Buckingham booking agency, Marcus Buckingham booking for corporate event. EBA is one of the biggest entertainment booking agencies in the World. We book hundreds of celebrities, artist, athletes and speakers in a year. Important to know is that we are not claiming to be the management of Marcus Buckingham. We are not the official agent for Marcus Buckingham. Companies from around the globe book these artists and speakers true our company be course we have one of the biggest networks and we always have direct contact with the artist or the management. We help you to find the right celebrities for your corporate of private events. Please contact one of our agents to get free advice and we will help to get the world-famous artist on your party.